Fluoride is a byproduct of producing Coal and Nuclear Fuel as well as Aluminum. So it is rather odd that this did not get onto my "Conspiracy List" until say 6 months ago. Although my drinking water is my own well, so no Fluoride added. 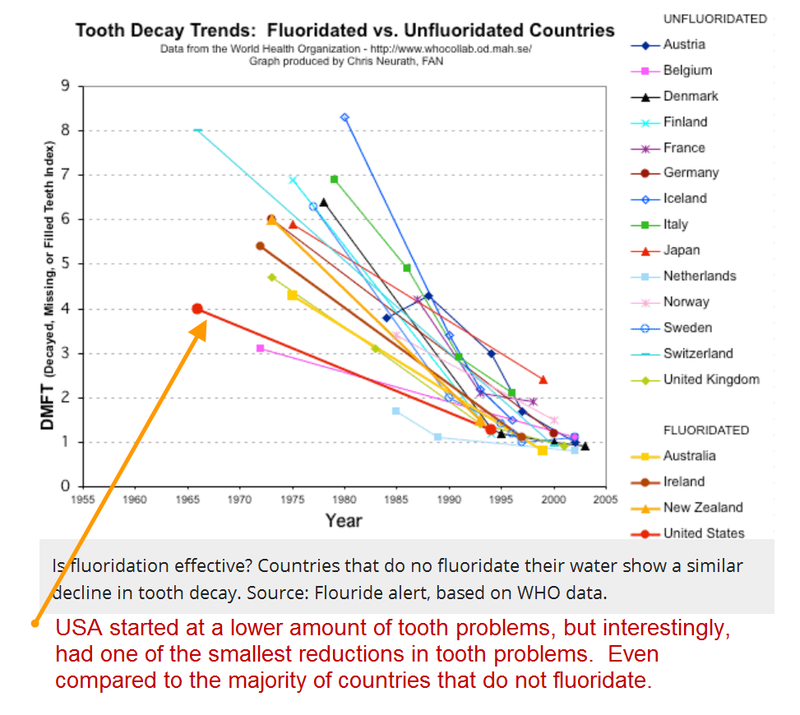 I kind of dismissed the concern over Fluoride. Until I realized it was in my toothpaste. It took me 6 months to figure that out. USA started at a lower amount of tooth problems, but interestingly, had one of the smallest reductions in tooth problems. 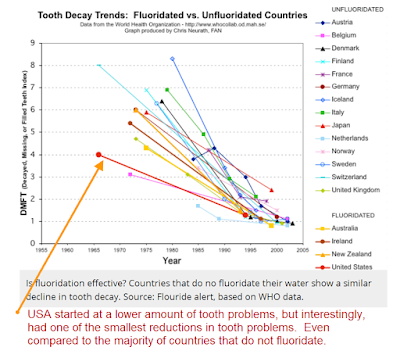 Even compared to the majority of countries that do not fluoridate. Actually there was flouride before there was UF6. General Jack Ripper would agree.